This exciting monthly magazine is packed with information and useful features. 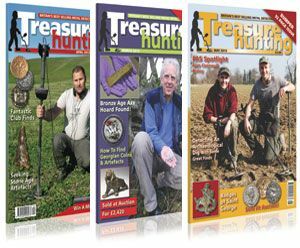 There are regular "How to" articles, a wealth of features on the coins and artefacts that are regularly found by detectorists around the UK, Field tests on various machines and much more. Early delivery to your door - Post Free UK - Pick of the bargains - Never miss an issue. Click on the links above to see our current special offers!